Properly mowed lawns will have fewer weed populations, better moisture stress tolerance, and generally better quality than lawns not properly mowed. After the winter it is important to clean up and prepare for the spring season. 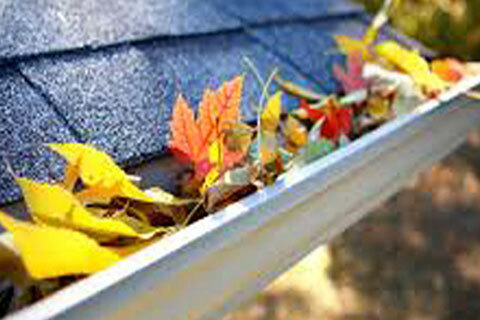 So Sunrise Landscaping Corp will work to remove winter-kill and old annuals. Sunrise landscaping Corp is a family owned and operated company and we take pride for over 15 years serving our customers with professional and quality services. 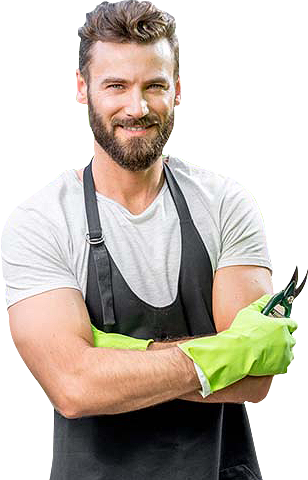 As a fully licensed and fully insured corporation with well trained and skilled employees, we guarantee our work and your satisfaction is very important to us. We are passionate with our field no matter how big is the job we are always interested and ready to offer the best services, everything done with skilled workers and quality material. 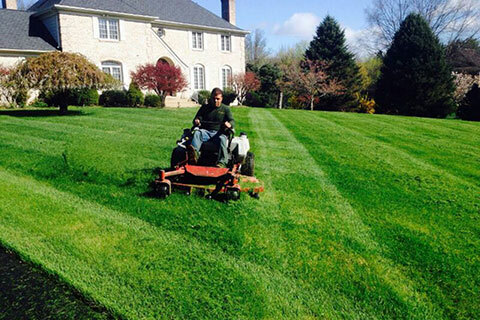 To have your lawn look its best, trust Sunrise landscaping Corp. to get the job done right. We take a great deal of pride in the quality of our work. We understand what complete customer satisfaction means. Properly mowed lawns will have fewer weed populations, better moisture stresses tolerance and generally better quality than lawns not properly mowed. Sunrise landscaping Corp is always watching closely to make sure your grass is cut on the appropriate height, which is an important factor to consider for a healthy lawn and the best appearance. Aeration allows your lawn to breathe, increases root growth and improves the exchange of water and air in and out of the soil and helps reduce thatch level. After aeration you get most "seed to soil" contact which is crucial to seed germination. 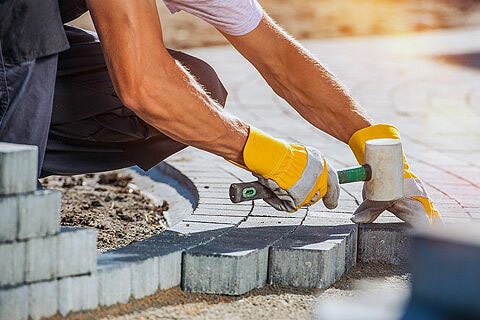 Patios retain walls, drive ways, walkways and more, at sunrise landscaping corp we earned our excellence through great work and satisfied customers. Our hard and skilled works are always happy to help us active the best results in our services, working with the best material. 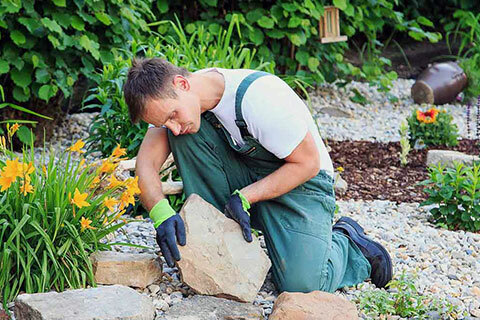 We offer a large variety of stones and pavers you can choose from; and as usual the best prices in the area, so ones can be able to fit their plans into their budget. Is that time of the year that you find you lawn covered by leaves. 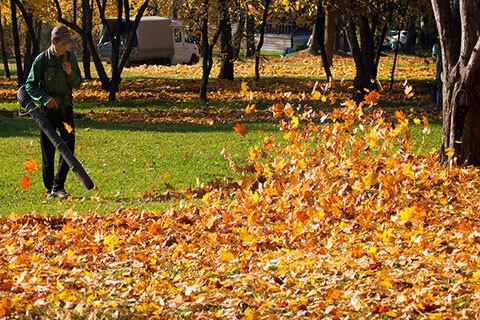 Sunrise Landscaping offer the fall clean up services which will include two visits to your property to blow all leaves to the curb. We also offer the leaf pick up which we will pass by after the leaves are in the curb and vacuum it up to the truck and take it away. After the winter it is important to clean up and prepare for the spring season. So Sunrise Landscaping Corp will work to remove winter-kill and old annuals, sticks and branches promote clean growing conditions and reduce the opportunity for fungus and disease to become established. Properly mowed lawns will have fewer weed populations, better moisture stress tolerance and generally better quality than lawns not properly mowed. 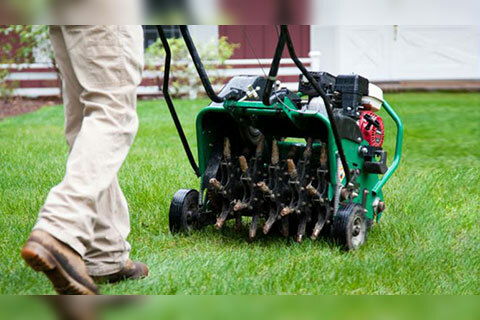 Sunrise landscaping Corp is always watching close to make sure your grass is cut on the appropriate height, which is an important factor to consider for a healthy lawn and the best appearance. 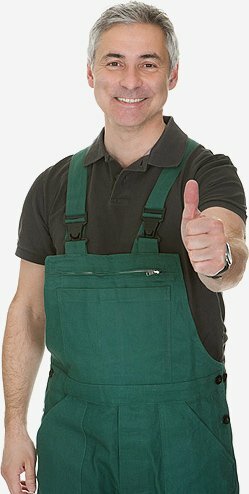 As a fully licensed and fully insured corporation with well trained and skilled employees, we guarantee our work and your satisfaction is very important to us. To have your lawn look its best, trust Sunrise Landscaping to get the job done right. We take as priority the quality of our material and all tools, always making sure that all jobs big or small will have the perfect final look. We have well trained and skilled employees, always dedicated and respectful! We guarantee our work. Sunrise Landscaping, Complete Solution For Your Landscaping Vision. We know how important it is to you to receive the best possible service at the most affordable price. Copyright © Sun Rise Landscaping Corp 2018. All rights reserved.